Just a quick reminder about some opportunities coming up to both hear and tell stories. 1. The National Alliance on Mental Illness (NAMI) of Washington State is hosting The Brainpower Chronicles: Mental Health Stories, NAMI Washington’s annual storytelling event. This is one of those shows where you get to see how storytelling can make a difference in the world. This year they have two performances: Saturday, November 10 at 7pm and Sunday, November 11 at 2pm. The show is directed by FGS regular Bill Bernat, and features six women sharing their stories of how they’ve been affected by mental illness and their journeys toward recovery. Bill Radke, host of KUOW-FM‘s The Record and Week In Review will be the emcee for the November 10 show. Discounted tickets are available for those with a limited income; please call Tom Lane at 206-971-1596 or tlane@namiwa.org. Please don’t be shy about emailing Tom. We want everyone to have an opportunity to see this show. Storymorphosis: Have fun crafting and telling a story about something that changed you for the better. 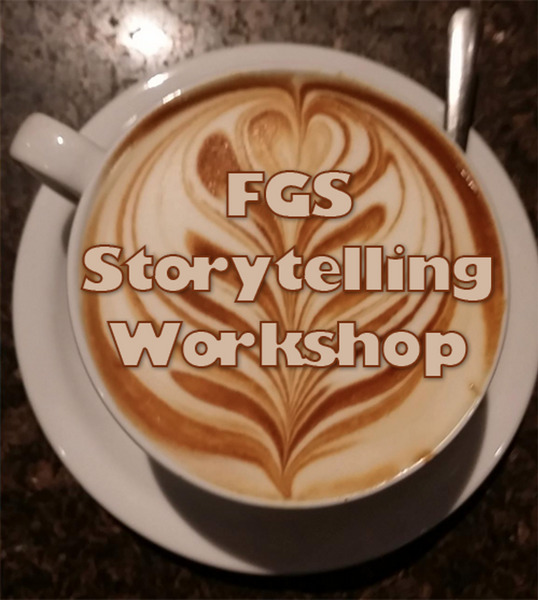 Interactive half day workshop Nov 17 ($50) with FGS regular, TED speaker, and Moth Radio Hour storyteller Bill Bernat. Details at stayawesome.com. 4. And finally, there’s a wonderful peer-driven workshop coming up on December 2 that’s run by another FGS regular Dave Kreimer. It’s a friendly, low-key event that I have always found helpful when I’m working on a story. I always love it when I see Dave throw his name in the hat at FGS and I’m glad he’s offering this opportunity to help people get their own stories together. Dave sent me the info below so I could let everyone know about it. It does not require a village to craft a story, but it is helpful to have one! This peer-driven storytelling workshop format provides the opportunity to tell your story to a supportive group and to get instant feedback. – Not sure if you can tell a story? Try it, sitting at a table with a few other friendly folks. – Not sure if you can provide meaningful feedback? Sharing your personal reaction is all that is required. Plus, Matthew Dicks, an increasingly well-known storyteller through his book, podcast and blog provides some excellent information. A note sheet of the top few things he recommends considering when crafting a story will be provided and we will see to what extent it helps us all to become better storytellers. Bring a story that you would like to possibly tell on stage at a storytelling event like The Moth or Fresh Ground Stories. Your story should be 8 minutes or less. It can be written, outlined or in your head. Come and have a great time listening to and telling stories with other motivated tellers. That’s all I have for now. Let me know if you have any questions. See you on the 15th!